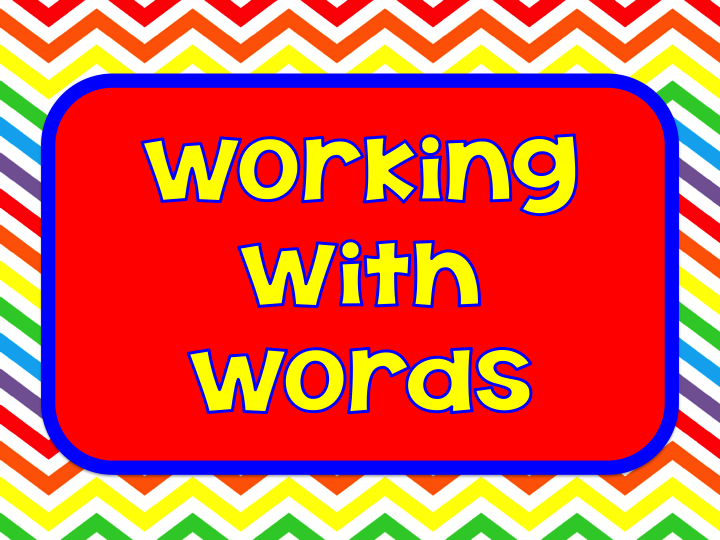 I just finished revising my Working with Words packet. 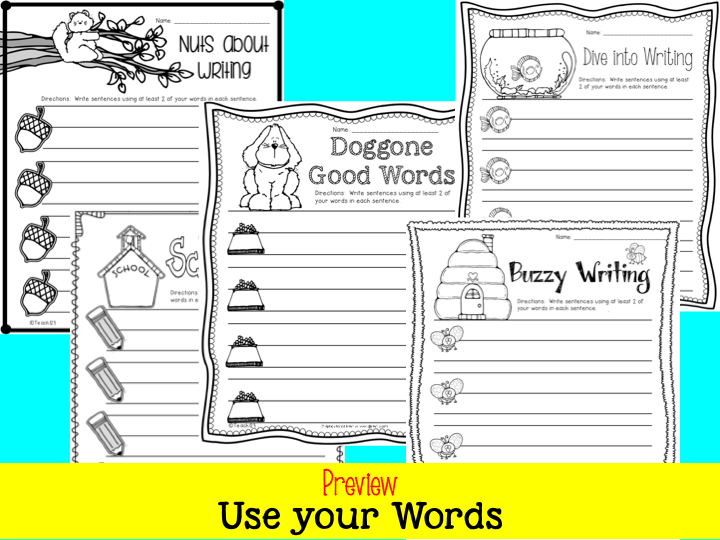 These printables are for students in grades 2nd – 4th. 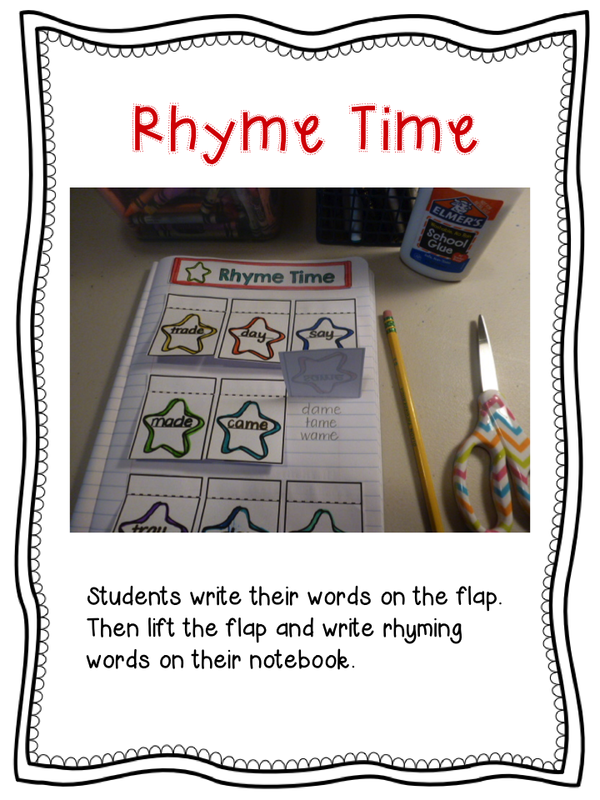 You can use these as whole group assignments, homework, or a literacy center. It is an easy center to set up. All you need is a pencil and copy of the assignment. 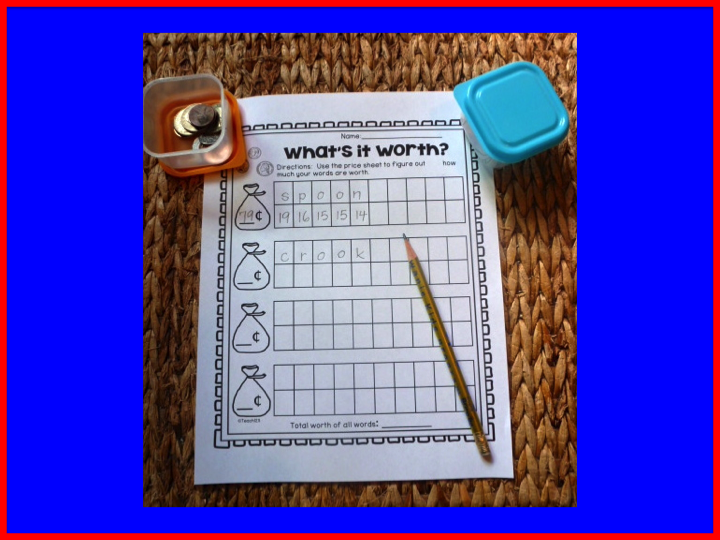 Add a small container of coins so students can count the coins to find the value of their word. 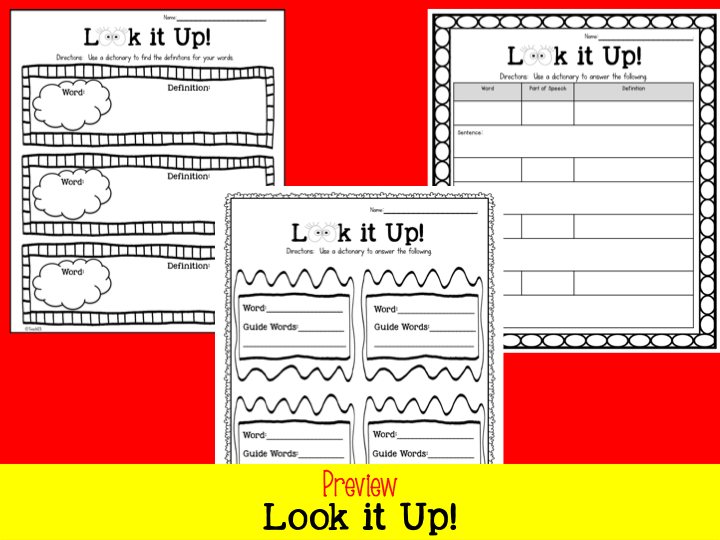 Students will sharpen their dictionary skills with the “Look it Up!” worksheets. 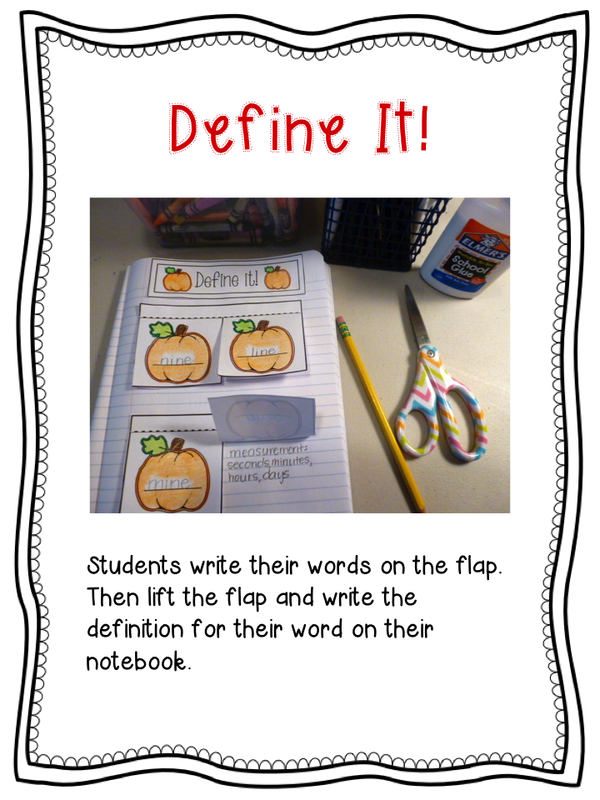 Three printables are included so you can differentiate this activity. 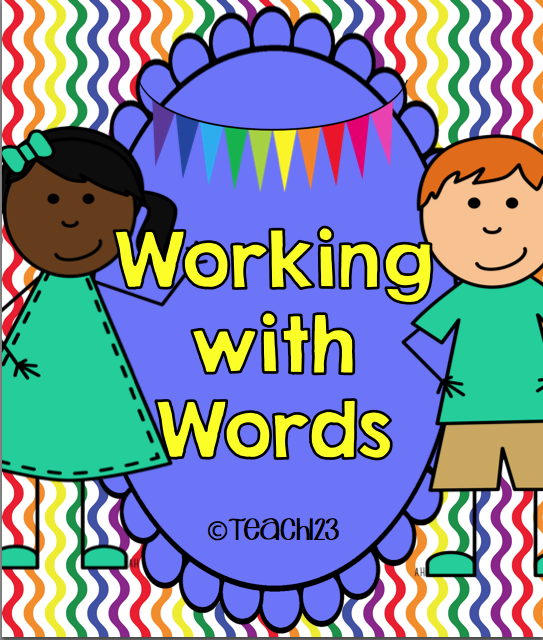 “Out of this World” is a partner activity. 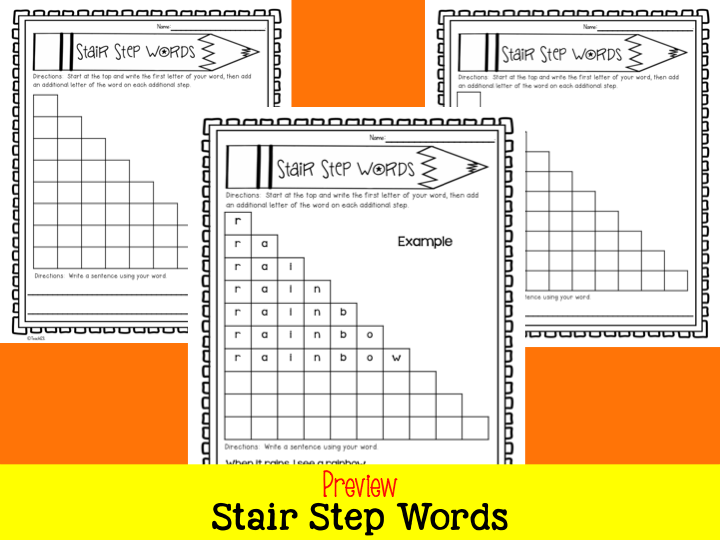 Students make a crossword puzzle with their spelling, word wall, or vocabulary words and then exchange puzzles with a partner. 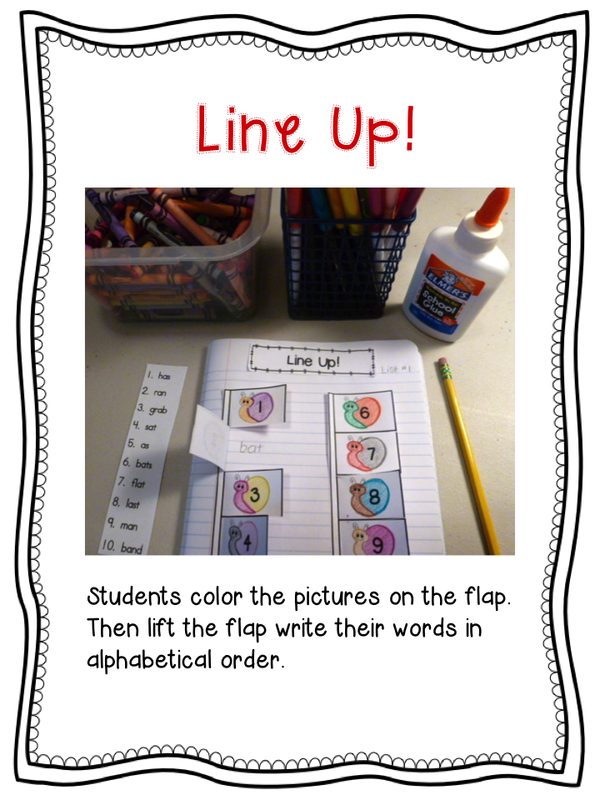 The great thing about this activity is partners can study different lists of words and still work together. 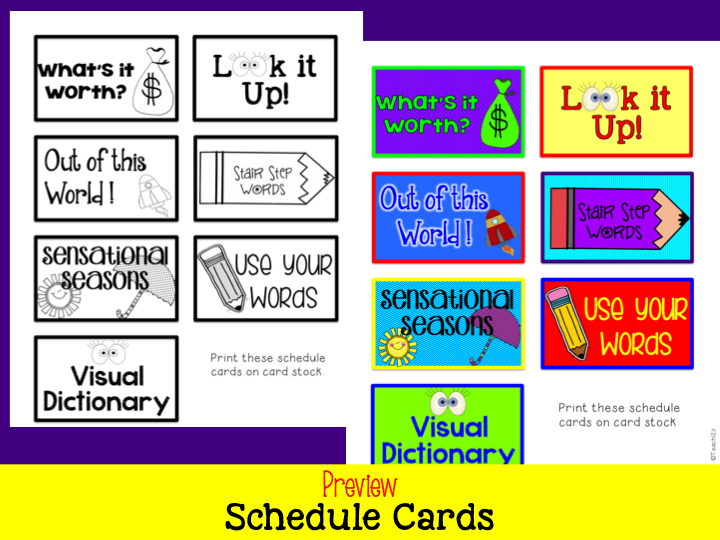 Add a little seasonal fun with these printables. 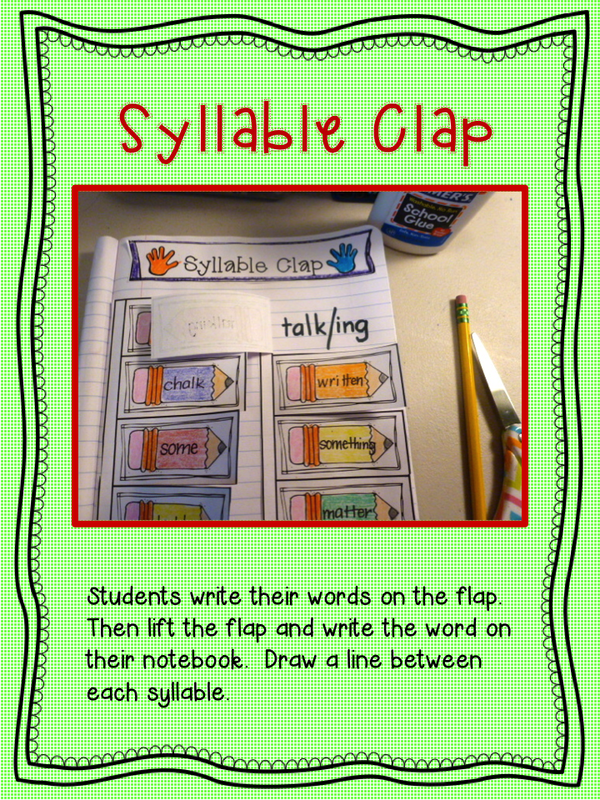 Students will write the words and either circle blends, digraphs, or divide the words by syllables. 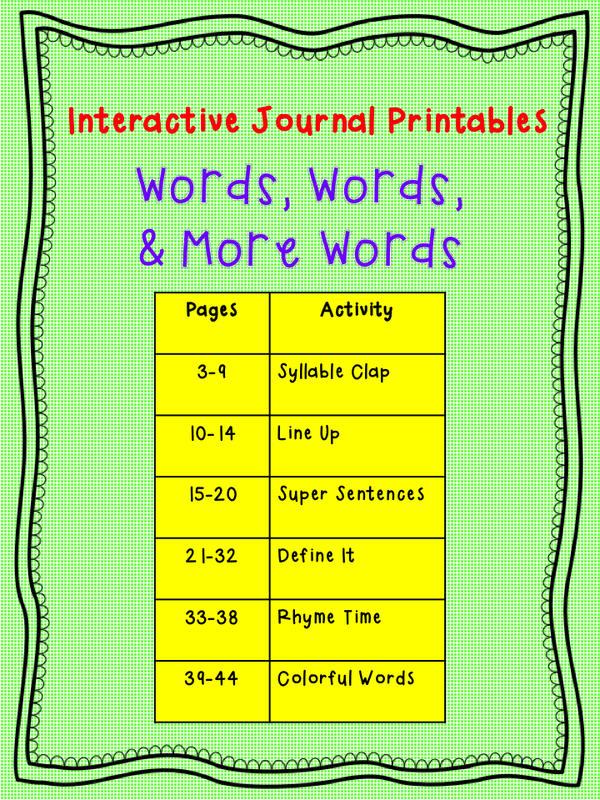 Students will write sentences using at least two words in each sentence with these worksheets. 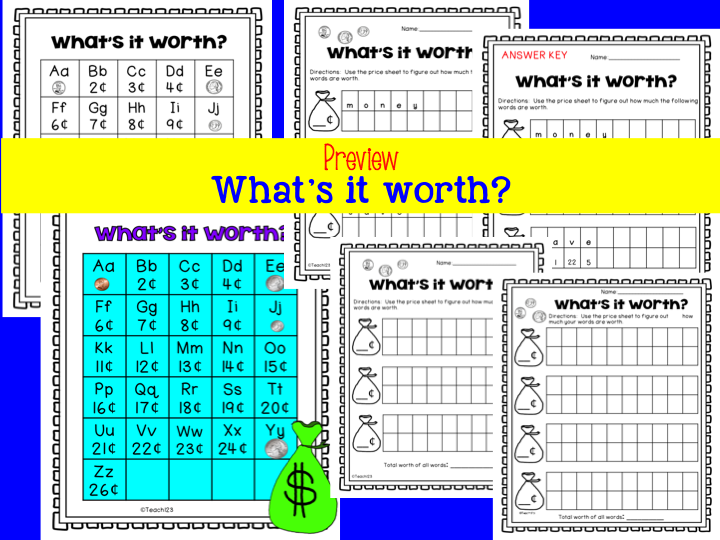 Students need to use a computer to complete this lesson. Click HERE to visit the site. I also included black and white and colorful schedule cards. 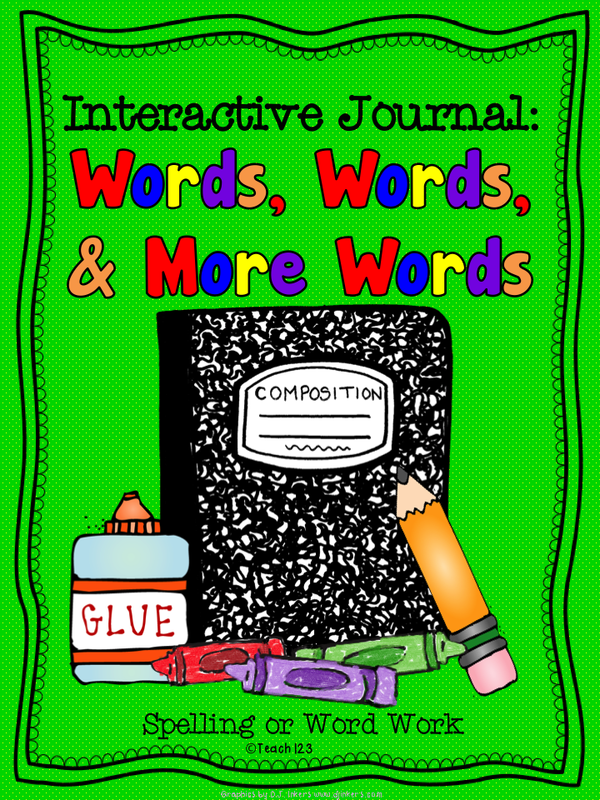 I also have a packet for interactive journals. 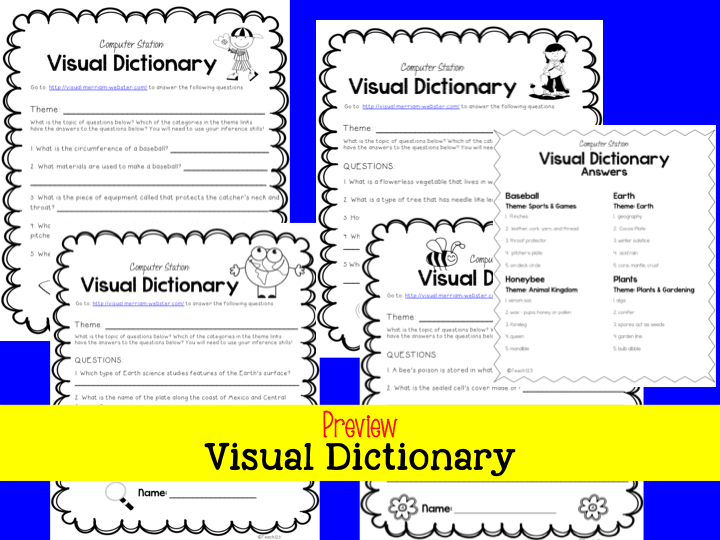 You can use these printables with spelling, word work, and vocabulary.